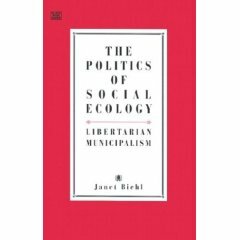 Over the last few decades, Bookchin developed the basic components of “libertarian municipalism”—how to create free cities. Written in short, to-the-point chapters, this book presents an introductory overview and sketches the historical and philosophical context in which these ideas are grounded. Included is a lengthy interview with Bookchin, as well as substantial material on the practical questions of creating and organizing a new municipal movement toward such democratic cities. This is the first text read by our group, and it’s a handy introduction to Social Ecology.